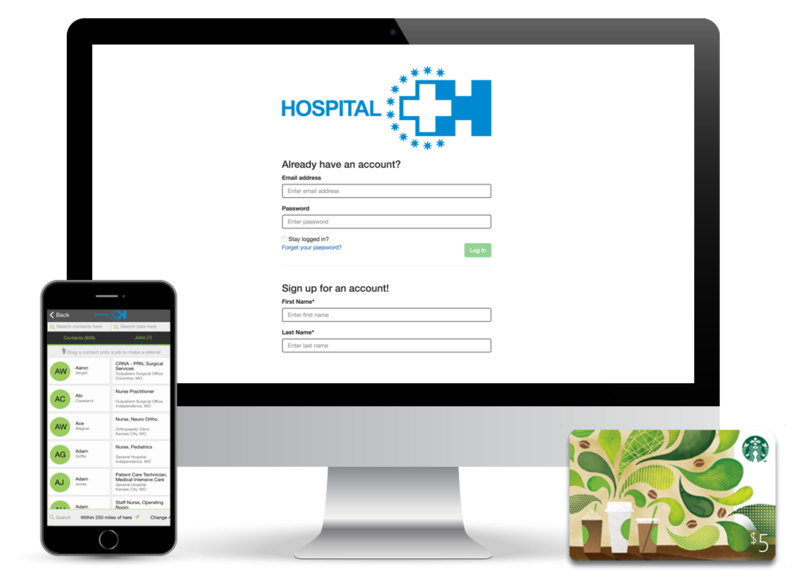 Your referral program leverages your employees’ knowledge and contacts to enhance the referral process. That’s why the JobShakers mobile platform makes it easy, accessible and fun for employees to log in and start making referrals with the swipe of a finger. The biggest strength of your referral program is the participation of your best and brightest employees. That’s why JobShakers creates and sustains employee engagement over the long term, keeping your pipeline of qualified referrals active so you’re never at a loss for promising new talent when you need it. The first steps towards creating engagement are awareness and information. 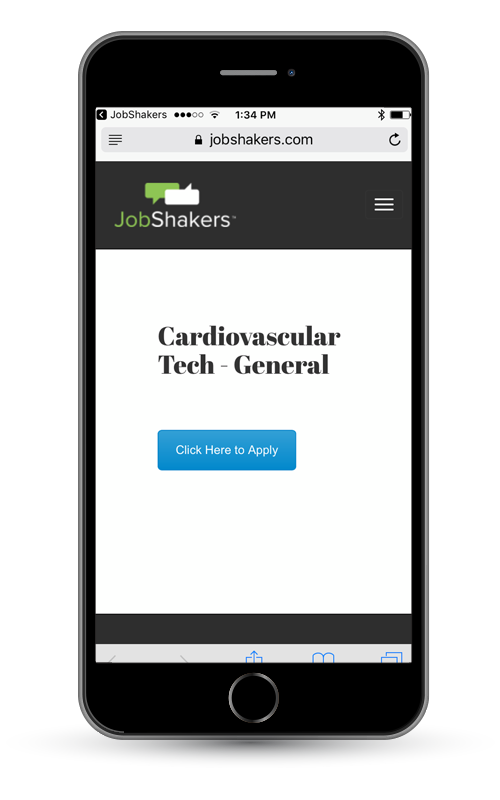 Our included promotional materials make it easy to explain and explore the JobShakers mobile talent referral app with your employees. 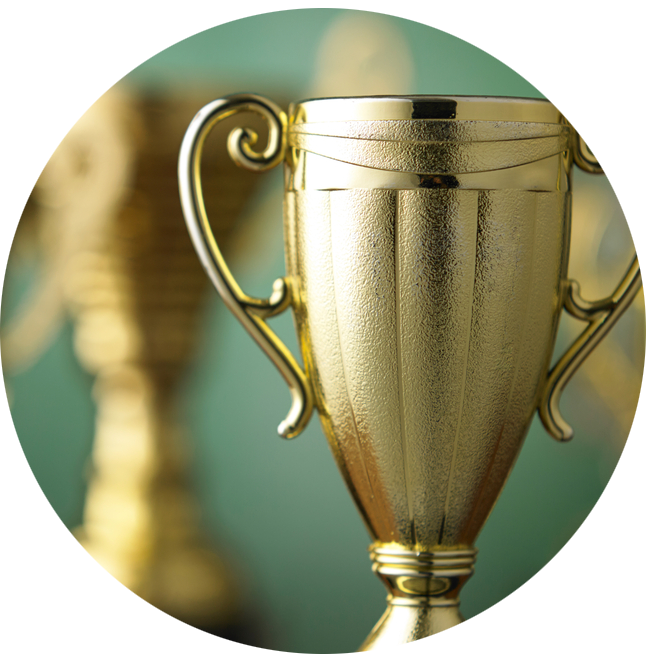 By gamifying the referral process with contests, challenges, and incentives, JobShakers ensures that your employees remain engaged and active over the long term, keeping your talent pool constantly refreshed. 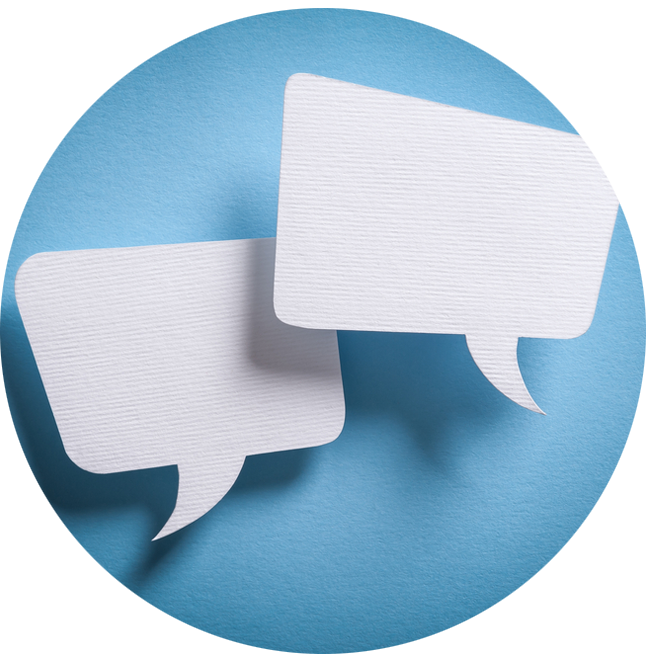 We lift the burden of back-and-forth communication from your shoulders with automated HR communications that keep employees in the loop and recognize their contributions, creating ongoing engagement and buy-in. 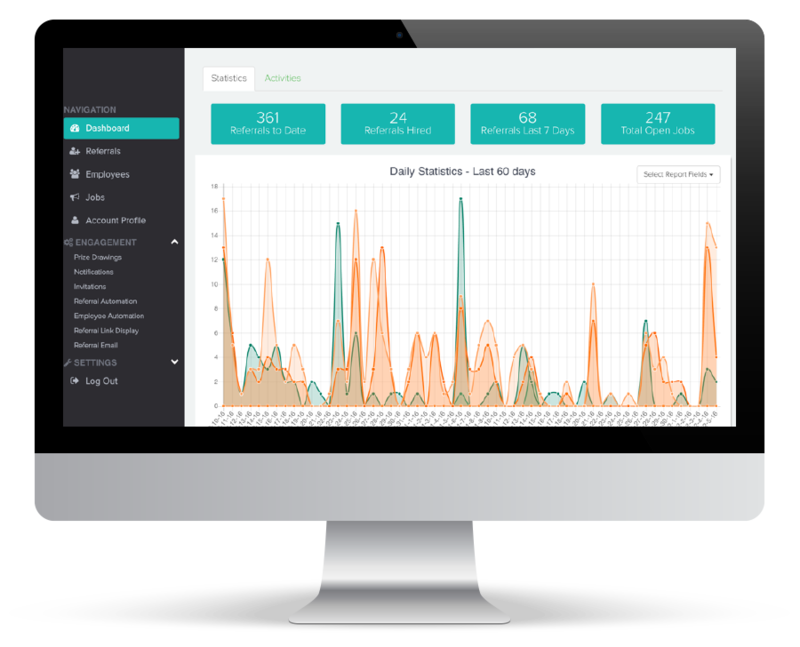 JobShakers places the results of your referral program front and center with a dashboard that automatically tracks your success and provides easy access to the metrics and information you need. From setting goals to tracking top referrers and popular positions, we’ve made it easy to access the results you’ve been waiting for. 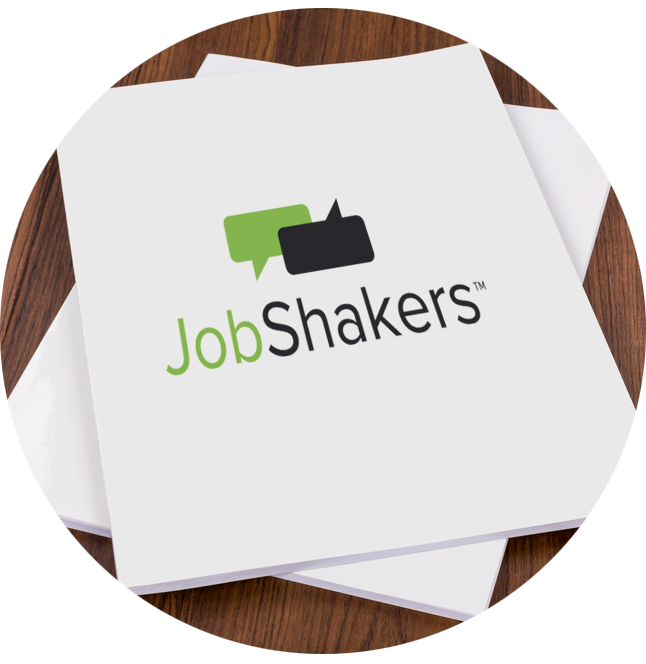 JobShakers is specifically crafted for today’s mobile-minded and socially connected workforce. Over 86% of job seekers used their smartphone to look for jobs. We reach them where they already are, leveraging your employees’ knowledge and contacts to enhance the referral process. 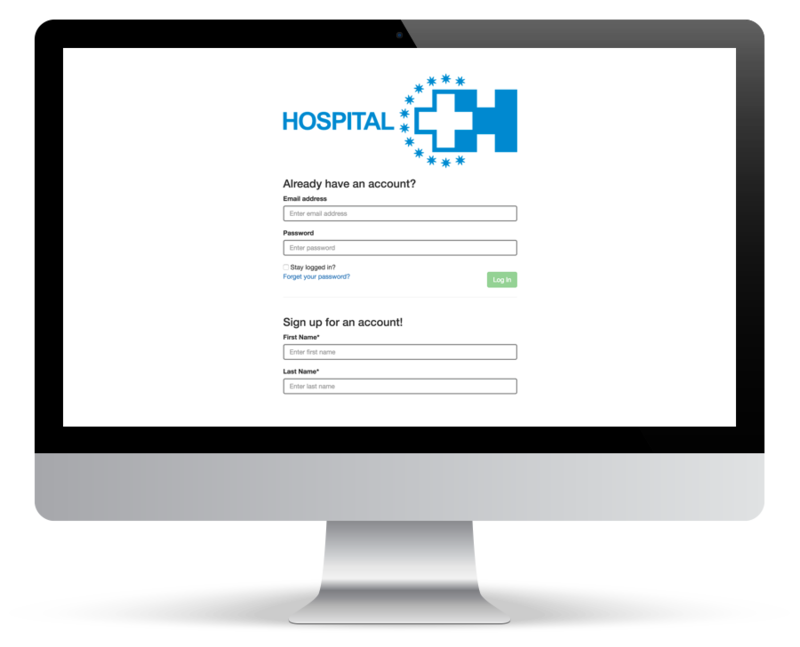 Employees download the app and use their company email address and company password to activate the app. Job postings are geo-located and pushed to employees. Making referrals is as easy as a swipe of your finger. 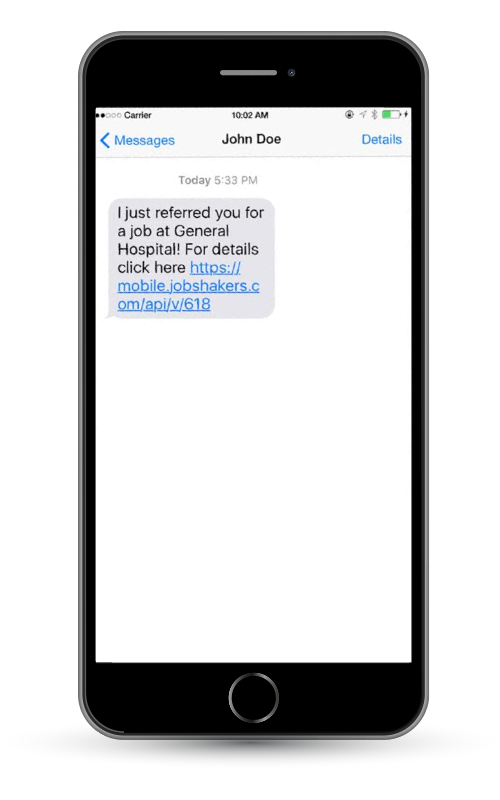 Each referred candidate receives a text and an email with details about who is making the referral, including a link to the job posting. A referred candidate clicks through the job posting link, views the job detail and has the option to apply directly from their smartphone or tablet. 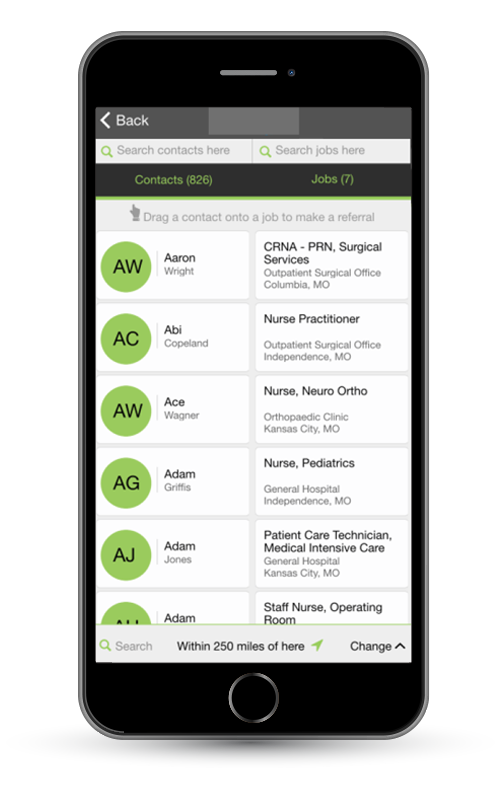 JobShakers is more than a mobile solution, it is a comprehensive set of tools that allow you to collect referrals the way you and your employees want. For employees that prefer a web interface, JobShakers provides a white label web application where they can submit and track referrals from their desktop computer. Submitting a referral through JobShakers’ white label web app is simple and feeds into the same backend processes that our Mobile app uses. No matter where the referrals come from, JobShakers will make them easy to manage.